Opening Ceremony for the Abu Dhabi Sustainability Week, according to a statement from the Presidency. 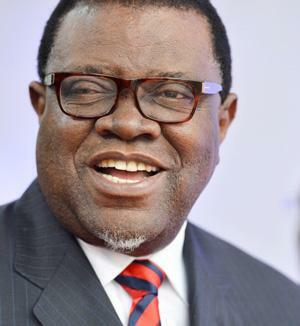 The Presidency on Tuesday said Geingob attended the mission at the invitation of His Highness Sheikh Mohammed bin Zayed Al Nahyan, Crown Prince of Abu Dhabi. President Geingob and Sheikh Mohamed bin Zayed also held cordial bilateral talks on the margins. The two leaders committed to exploring ways to establish a Namibian Embassy in the UAE and will explore the possibility of supplying refined oil to Namibia, the statement read. The Crown Prince further expressed interest in exploring for oil and gas in Namibia and President Geingob has invited Sheikh Mohamed bin Zayed to visit Namibia. 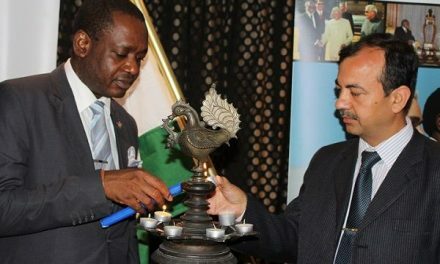 Namibia and UAE already have a successful cooperation in the Al–Dahra Namibia project, a commercial date plantation established at Naute Dam, Karas region in 2009. “Against this background, the Crown Prince of Abu Dhabi has developed the confidence and interest to farther explore areas for economic cooperation,” the statement read. Meanwhile the accompanying local business delegation attended the business exposition and held meetings with UAE businesspersons and prospective investors in the sectors of energy, oil and gas, infrastructure, agriculture, tourism, technology and finance. Departing the UAE on Wednesday President Geingob will proceed to Addis Ababa, Ethiopia, where a SADC double troika will jointly convene to discuss the situation in the Democratic Republic of Congo, preceding a consultative meeting with the African Union on 17 September, on the same issue.